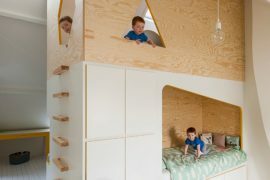 Designing a kids’ bedroom is often a challenging task because not only do you need to work with the existing constraints of space and budget, but there are all those creative ideas and amazing add-ons that come flowing in thanks to the active imagination of your little ones. 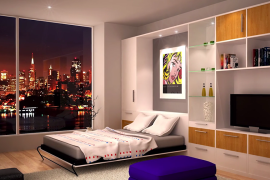 The best kids bedroom designs are those that put together the best of both aspects to create a lovely and effervescent room that reflects individual taste coupled with smart and savvy design. 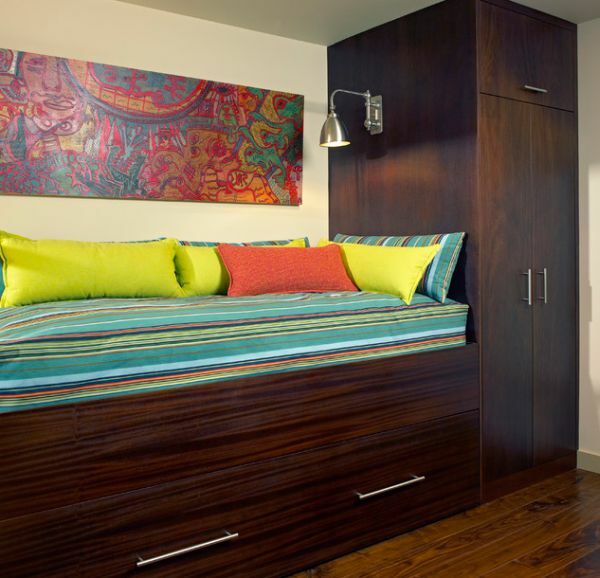 Trundle beds go a long way in ensuring that you achieve this elusive combination. Designed originally to ensure that helpers and servants stay close to the owners, trundle beds have come a long way since and are fast becoming as popular as bunk beds for homes where kids need to share a bedroom. They consist of a second sleeping option that is placed underneath the main bed and can be rolled out using the rollers or casters when required. Smart, savvy and ideal for sleepovers, they are perfect for every contemporary home. 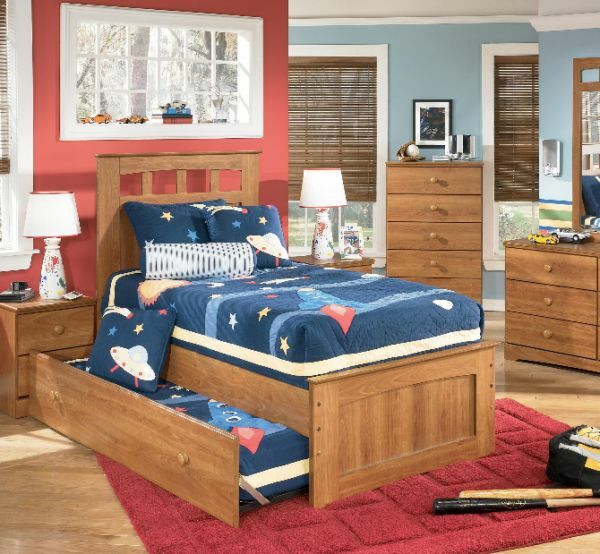 The obvious advantage of using a trundle bed in your kid’s bedroom is the space-saving option that you have readily available at all times. 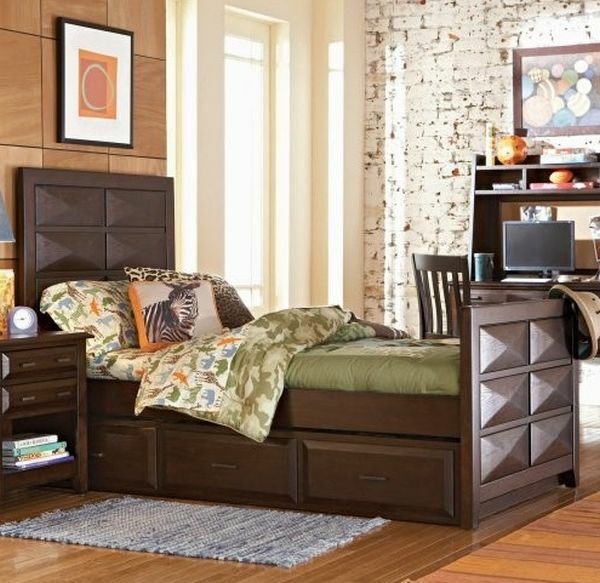 This makes the trundle bed ideal for small bedroom designs that are constantly pressed for space. 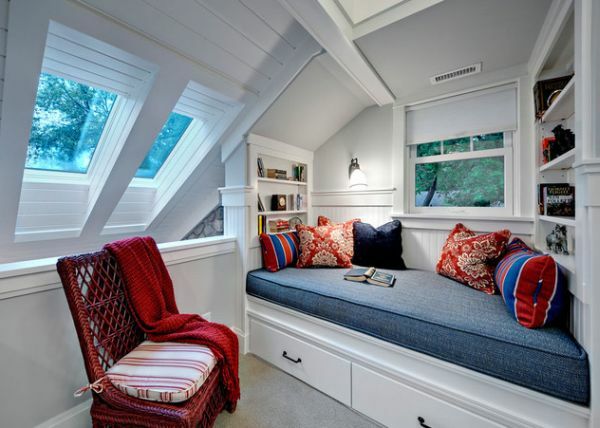 You have an easily available second sleeping bunker that vanishes away during day time and hence saves up on ample foot room. 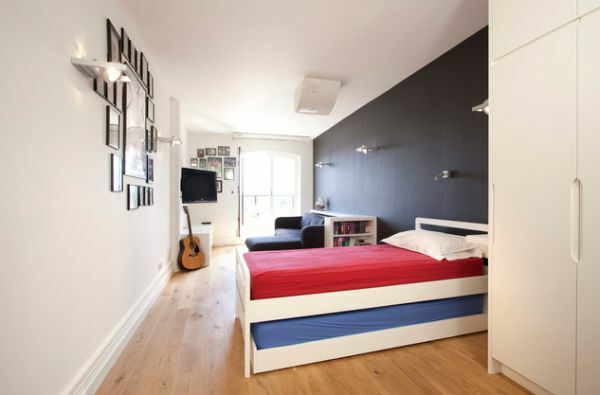 Since space is such a premium in big city lofts and modern apartments, trundle beds in kids’ bedroom present an ideal solution. 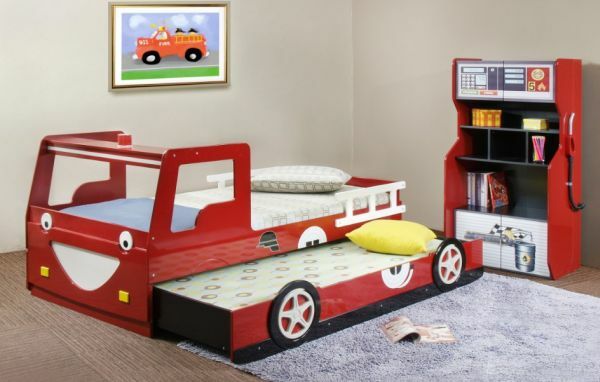 While most home owners believe that trundle beds are ideal for bedroom designs that need to accommodate more than one kid, the fact is they are perfect even for homes where there is only a single child. 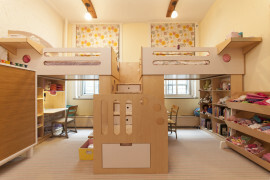 The lower bunk can always be used as a storage option that can simply hide away all the mess and provides for shelf space that is both elegant and compact. 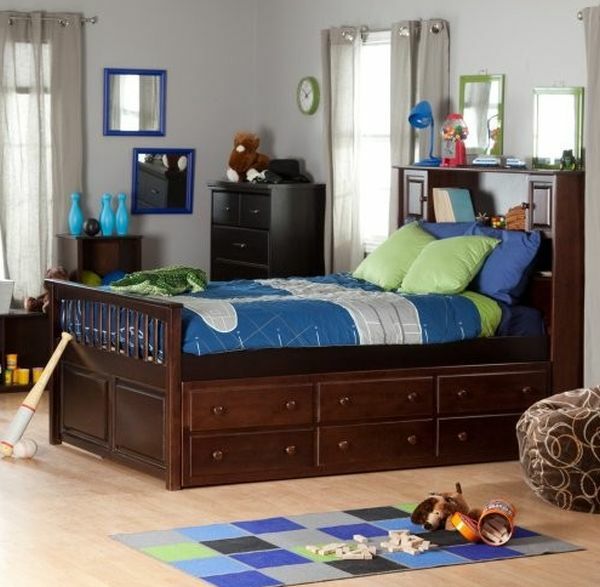 The trundle bed can quickly and effortlessly double up as both a second bed for sleepovers and also as a storage space without any trouble. 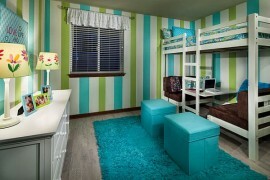 One of the essential things when planning for a trundle bed in a kid’s bedroom is the bedding that completes it. Trundle beds most often might require custom designed bedding that fit in perfectly into the second roll-out bed underneath the top one. Comfortable and beautiful bedding are a must to ensure that the bed looks picture perfect and it obviously goes unsaid that both of them most be same in quality, print and color to create an ideal bedroom with one flowing theme.